The true story of how Israel used politics, espionage, blackmail, targeted assassinations and finally military power to destroy Saddam Hussein’s nuclear reactor and deny him the bomb. Operation Babylon (Codeword: Opera) was a surprise Israeli air strike carried out on June 7, 1981, that destroyed a nuclear reactor under construction 17 kilometers (10.5 miles) southeast of Baghdad, Iraq. 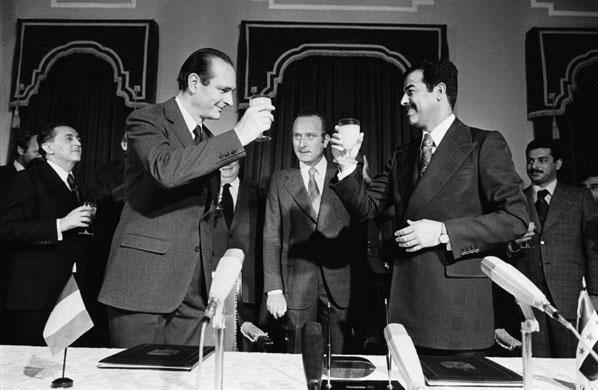 In 1976, Iraq purchased an “Osiris”-class nuclear reactor from France. Iraq and France maintained that the reactor, named Osirak by the French, was intended for peaceful scientific research. The Israelis viewed the reactor with suspicion, saying that it was designed to make nuclear weapons. Ten Iraqi soldiers and one French civilian were killed. The attack took place about three weeks before the elections for the Knesset. The attack was strongly criticized around the world and Israel was rebuked by the United Nations Security Council and General Assembly in two separate resolutions. The destruction of Osirak has become cited as an example of a preventive strike in contemporary scholarship on international law. It acted now because it believed the reactor would be completed shortly – either at the beginning of July or the beginning of September 1981. The Israelis criticised the French and Italians for supplying Iraq with nuclear materials and plegded to defend their territory at all costs. The attack took place on a Sunday, they said, to prevent harming the French workers at the site who would have taken the day off. The Osirak reactor is part of a complex that includes a second, smaller reactor – also French-built – and a Soviet-made test reactor already in use. Iraq denies the reactor was destined to produce nuclear weapons.